Protect your lifestyle and your loved ones, 24 hours a Day. Today, we depend on electrical power more than ever. From weather threats to power grid vulnerabilities, our comfort and security are threatened every day. Many homeowners have determined a backup generator is now a necessity. 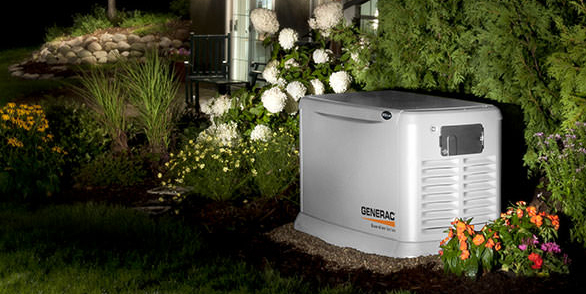 As a Dealer for Generac Power Systems, Austin Generator Service has a solution for you and your family. Generac has developed many cost effective and innovative solutions for homeowners, with a clear commitment to value and reliability. From portable generators to professionally installed automatic standby generators, you can have confidence in the AGS/ Generac team. Call today for a free in-home assessment. Let us customize a solution for you! A home backup generator protects your home automatically. It runs on protect your home automatically. It runs on natural gas or liquid propane (LP) fuel, and sits outside just like a central air conditioning unit. A home backup generator delivers power directly to your home’s electrical system, backing up your entire home or just the most essential items. For further information on Generac Residential Generators, visit Austingenerator.net or contact us now for a Free In Home Assessment!